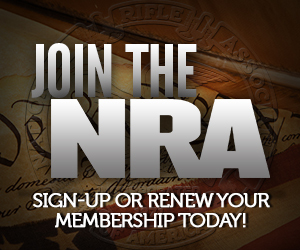 Barack Obama is telling his supporters to spread the word that he supports the Second Amendment. We’ll have to see if I run into any light bringers when Bitter and I work the Valley Forge Gun Show tomorrow to make sure everyone there knows about Obama’s record on the Second Amendment. Hopefully we’ll get a few more volunteers out of this effort too. There’s a McCain-Palin rally Monday in Delaware County. Just got the memo. You live down around there. When and where at the gun show?? I am working there this evening for the AG candidate. If possible I’d like to meet you and Bitter. We’re not there until tomorrow morning. Aw, shucks. I’d like to say I’ll come back, but we’ll have to see. Where/who you going to be working at/for. I’m thinking about running up there from here in MD. I’ve done the Harrisburg,PA show a couple of times and in fact found my 32-20 ’92 Winnie at one. I’m actually not sure what will be on the table label wise. We’ll be the ones with all the anti-Obama literature :) I’ll probably have my MacBook with me. I’ll wear my NRA shirt, and my NRA hat with my Silhouette pins on it. “…anti-Obamam literature…” what a surprise, heh, heh. That’s it! I’ve had it up to here (gesture indicating somewhat above head level) with Barry-Barak-Hussein-Obama. With all due respect to all y’all, we are the choir and we’ve heard the sermon. Besides, I have a mad crush on Alaska right now, and I don’t think Barry-H, Michelle or Joe could sway me even if they each personally served me a moose burger on a platter of $100 bills. Friend: “Why are you supporting Obama? How can you argue with logic like that? The gulph between us is wide and deep. The operative process here is, if you can fool enough of the people enough of the time, you’ve got it licked. But then, that’s politics. It may be the choir, Tango, but many of them have to be reminded to vote. It’s sad, but true. I was asked today if Obama’s record was real or made up/just rhetoric – a question coming from an NRA member! Sadly, if you have a good sense of Obama’s background, you’re actually registered to vote, and you know where to go on what day in order to vote, you’re ahead of many gun owners out there. Thank you, Bitter; sorry, I was venting. I know what you mean. I’ve worked political tables at several guns shows over the years with Jon Mirowitz, and you wouldn’t believe the number of people, when asked if they were registered, replied “No” because they “didn’t want to get on any’lists’.” You would think that this group would be chomping at the bit to vote – or, at least perform their civic duty. It can push one toward cynicism. Last night I was working with Jon (he’s indefatigable) at the Tom Corbet booth and the feedback – stated or inferred – seemed fairly positive. Hope you and Sebastian had a good and rewarding time of it. We were actually working right along side Jon until I started feeling like someone kicked me in the stomach. Was that meant to be a cryptic remark, Sepbastion, or were you referring to an actual physical condition? He got sick to his stomach, and we had to leave a couple hours early.